Lazaretto is different. It starts off with a dirty little blues rock number called “Three Women”. Those classic Jack White guitar lines reminiscent of early Jimmy Page are back! Not only that but those crashing White Stripes drums are back as well. Late 60’s distorted Hammond Organ riffs round out the track. It all culminates in possibly the most exciting release from him since the White Stripes and the Raconteurs disappeared so unceremoniously several years ago. The production is dirty and gutsy, just like it should be for Jack White. Next, the title track, “Lazaretto”, adds those megaphone vocals and the best parts of the Dead Weather. Gritty and grungy, blues-funk rock as only White can play it, complete with those signature guitar solos that sound almost like his cord isn’t plugged in all the way into the amp. Voodoo violins chime in later for a creepy, Southern blues vibe that is irresistible. On this album, White also explores country blues with “Entitlement” and “Temporary Ground”, which features country fiddle and pedal steel guitar coloring, while still maintaining the marriage of his signature melodic lines and rhythm. The truth is, few rock artists can exploit and over-emphasize the rhythm and weave it into the melody the way that he does; it was the defining backbone of the White Stripes’ sound and what made them so unique. It’s great to see him utilizing it so deftly on this album. “Would You Fight For My Love” and “High Ball Stepper” shift into some very odd melodic vibes with haunting vocals that border on spooky at times but, amazingly enough, still hold on to that heavy blues foundation. These two are bizarre and a little more reminiscent of the Dead Weather but still enjoyable. Three classic White anti-love songs that delve straight back into the Stripes’ and Raconteurs’ grooves again can be found in “Just One Drink”, “I Think I Found the Culprit” and “Alone in My Home”. Another creepy one is “That Black Bat Licorice”, with that unmistakable rhythmic rap-singing at which White is so great. The album closes with a pounding piano torch ballad called “Want and Able”, a humorous treatment of the old story about the battle within us all between what we want and what we are able to do. The final track dovetails into a cryptic crow-cawing inner groove. Whether or not it reaches the popularity of its predecessor, Lazaretto contains that same frenetic insistence to push the musical envelope everywhere it can, much like Blunderbuss did. White, the Mad Genius, pulls out a big bag of tricks here and sprinkles his personal touch throughout the album while still searching for new frontiers. Where Blunderbuss was all over the place, Lazaretto is more of a controlled chaos steeped firmly in blues and rock. 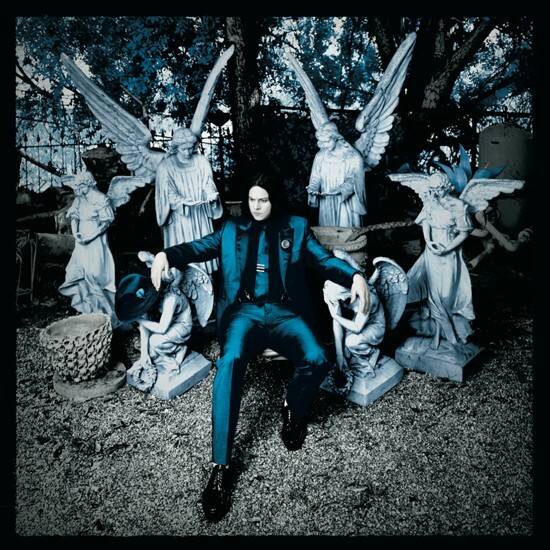 This album is a fond return to some of the previous sounds that we have enjoyed as fans of Jack White while also forging ahead, breaking new ground and refusing to stay in one place. Once again, Jack White proves himself to be one of the most distinctive artists in music, not only today, but any time in rock history.